The right idea, no matter how brilliant, means nothing until it gets in front of the right people. It’s all about finding and getting the attention of that audience, right? 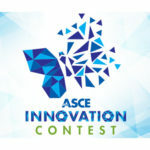 Well, consider the ASCE Innovation Contest that audience. ASCE’s Industry Leaders Council designed the contest to gather innovative ideas that will help transform the future of infrastructure. 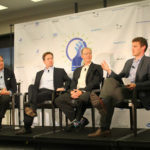 The panel of 22 judges who will consider those ideas is a who’s who of industry leaders and decision makers, divided into groups assigned to each of the four Innovation Contest categories – innovative business models, “Internet of things,” green engineering, and resilience. The caliber of judges includes Bob Prieto, CEO of Strategic Program Management LLC and chair of the contest; Tom Sawyer, deputy editor of Engineering News-Record; and Marc Hoit, vice chancellor for IT and CIO of North Carolina State University. 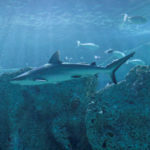 The blend of many perspectives makes a perfect brew to evaluate grassroots engineering ideas, Buckwalter said, as innovations often develop when connections are made between seemingly non-related disciplines or industries. Buckwalter should know. He’s the director of strategy for aerospace and defense technology giant Northrop Grumman. In the past, he has helmed campaigns similar to the ASCE Innovation Contest to help surface innovations at Northrop Grumman. Those interested in the Innovation Contest can enter at the official page; the deadline is Jan. 18.